What to expect with Dental Implant Procedures? Dental implant procedures can be a daunting thought however with advanced equipment and technology this process has become a fast, long term solution for a lot of people. 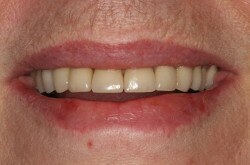 Dental Implants are a great solution for people who are missing on or more teeth. With our Dental implant procedure you have the opportunity to regain the full structure and form of teeth to your mouth. 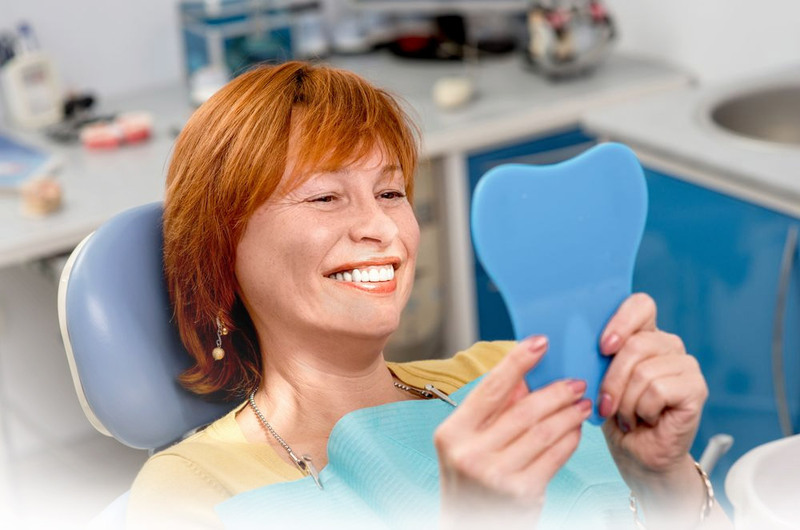 The core focus of an tooth implant process is to improve the mouth structure and support the existing natural teeth which can be achieved with implant supported bridges, crowns & dentures which will help replace the structure of missing teeth. If you have a tooth implant question or wish to make a booking you can contact our Sydney Dentist based in Chatswood. 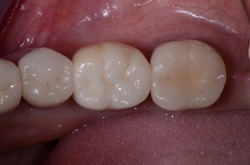 Below is an outline of the process which can vary depending on your unique teeth structure and needs. 1 – Visit our Sydney Dentist for an initial consultation – We will then discuss symptoms, take X-Rays and identify if you are a candidate for a tooth implant procedure – This usually only takes 15-30 minutes. 2 – Dental Implant procedure takes anywhere between 1 hour to 1.5 hours – Very efficient procedure with life long benefits. 3 – We support our patients with regular follow up sessions, usually 2-3 15 minute sessions. Avoid putting tooth implant treatment on hold because your surrounding teeth and mouth structure can have more sever adverse impacts which may cause further issues which are more costly. Implants are like small screws which are typically made from titanium or titanium alloy, which are used as the root of the tooth. Post tooth implant procedure the implant then acts to fuse to the natural bone tissue which is also known as an osseointegration process. 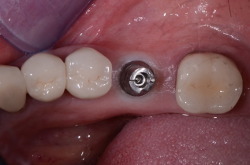 Several strategically placed implants can be used to secure dentures on the upper arch, lower arch or potentially both in more rare instances. A lot of dentists offer mini implants, particularly small implant posts which can then be screwed directly into the jaw, through the gums, eliminating the need for flap surgery. Mini implants should be recommended based on an initial consultation and will not be a solution for every patient based on their mouth structure and severity of root damage. Am I a suitable candidate for a dental implant surgery? Dental Implant surgery success is reliant on the above factors, if you have had missing teeth for a long period of time your bone tissue may have deteriorated to a state which is not strong enough to support the post and crown. The human body is extremely efficient and will re direct phosphorous and calcium thats been unused to to parts of your body which means parts of your root are not getting the required calcium. We have also experience instances where gum disease is a prevention for dental implant surgery in severe cases. Bone tissue is impacted with gum disease because bacteria will eat away at the connecting tissue on the root of your teeth. If you believe you are experiencing gum disease, bad breath you should address this concern with your dentist as a matter of urgency, again t prevent further issues down the track. Gum disease is also a potential problem for implant candidates. One effect of chronic periodontitis (the advanced form of gum disease that causes tooth loss) is bone deterioration. Bacteria eat away at the connective tissues on teeth roots and also destroy gums and bone. Gum disease should be addressed prior to implant placement. Dental Implant Surgery costs vary from dentist to dentist but typically range from a few thousand to several thousand. Our Sydney dentist charge from $3,500 for dental implant surgery. Below are some factors to take into account with the investment of tooth implant procedure costs. Region – A lot of people travel to India, Thailand and other countries to save costs which can lead into other more painful, expensive problems later so caution is required. In certain cases, dental insurance will pay for a portion of the fee for dental implant surgery however the amount that is paid varies based on the level of cover a patient has. Whilst dental implant surgery requires a large initial investment the long term benefits is unrivalled by other treatments. Our Sydney dental implant surgery support patients with payment plans in conjunction with health funds to make it an affordable option for most patients. Caring for dental implants is nearly the same as caring for your natural teeth. Brushing your teeth twice a day and at least once a day flossing will remove plaque, bacteria and any food. Your dentist will advise you on the follow up consultation process & discuss professional cleanings. 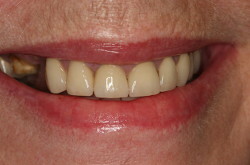 If you wear a removable implant retained denture, there will be special care instructions for your denture.